First of all, technology is advancing quickly. Times are catching up. Let us share the usage of Motorized Blinds to you. While you can simply engage us for consultation and free onsite measurement, we can fabricate according to your needs. Singapore MTM Curtains also have advanced technology and solutions to help upgrade your home furnishings. We bring the best to the people out there. Introducing our Motorized Blinds, to improve your standard of living. Convenience is the key to the motorized system. Our motors system comes from France, Australia, Korea or even from China as probably a cheaper alternatives if you have a lower budget in mind. Relying on the motorized system for your curtains and blinds, you are able to draw the curtains or raised the roller blinds at your finger tips. Not only we can link the motorized system to Google device, we can also fabricate controller or set-up smart home system according to your needs. Motor speeds can be programmed to achieve at least 90% of blinds alignment. The best thing is you can actually pre-set the commonly use settings and integrated it to control at one touch of a button. It is a reliable motorized system here. 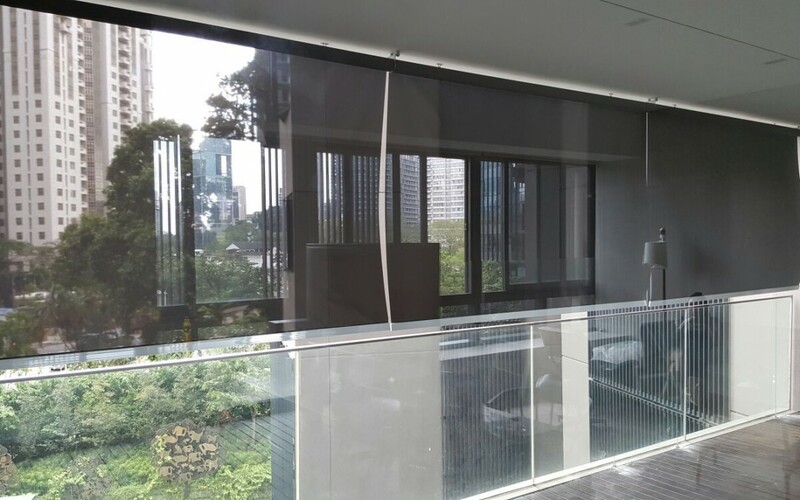 While below is one of the Motorized Outdoor Roller Blinds video to show you guys the work installed at our customer’s condo unit. Seems like Motorized Blinds and curtains can be conveniently installed for home usage due to popularity increasing these days and you will not only see such solutions at only stage curtains or in offices etc. Hence by creating modern and style, it increase technology works and solutions in your homes which amaze your guests. Simply build convenience for yourself and your loves ones, you should choose Motorized Blinds now. Consequently, let us know if you need more tips in choosing blinds or curtains. At Singapore MTM Curtains, we fabricate to your needs.